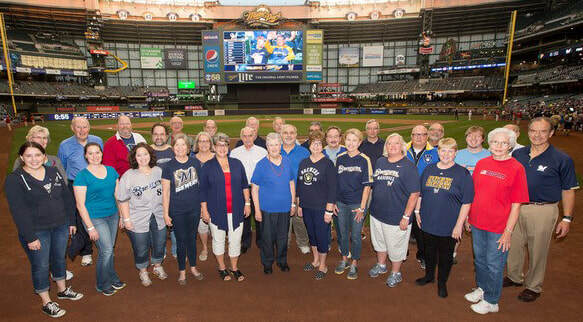 We were honored to be asked to once again sing the National Anthem at the Brewers game on Wednesday, Sept. 13th. A group of 30 of us proudly sang that evening, and had a good time enjoying the game following. Here is the group picture and a video of our performance.